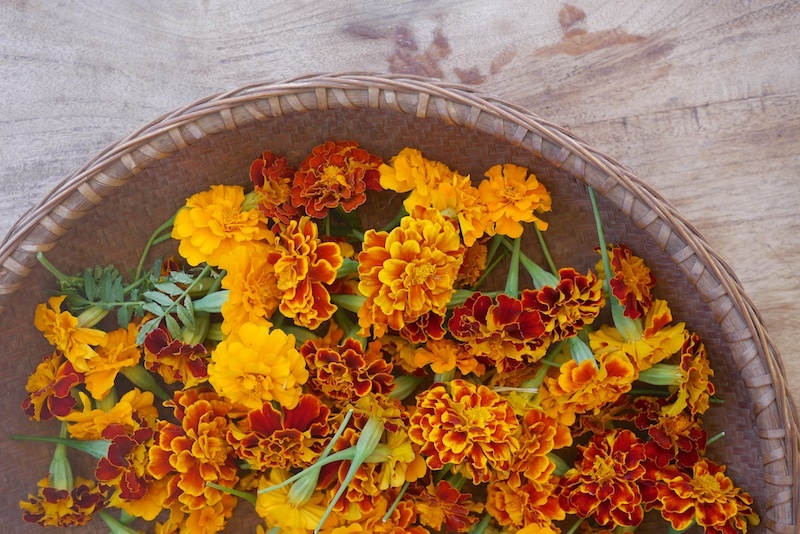 You know how it is – in the middle of Summer, both culinary + medicinal herbs are everywhere – there’s so many that you forget to see them. And then, before I know it, it’s Autumn, with the cold weather closing in – and we’re coming up to the season of sniffles, coughs and colds. Which is when I need the medicinal herbs to the rescue! Just one problem. They’s shrunk back to lowly small patches, or in the case of frosty climates, to a brown dead lump. 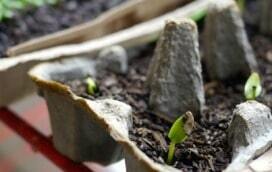 At this point, the fact that they will sprout anew with the Spring is small comfort. I need them in June when the cold wind blows, not in September when everyone is recovered. The obvious answer? Store that season. And store it good. Because my family learned the true meaning of snot, last winter. We’ve always been a pretty healthy bunch, but last winter we re-set the bar. Way down low. I think it was the move from the farm that mainly did it – all that upheaval, both physically, geographically, and psychologically. Whatever the reason, we got sick. And then sick again. And then again. The three of us, two big, one small, were like a rotating puddle of cough and flu and phlegm and it was awful. And here was I thinking (kinda) that all it took was clean food, raw milk and a purpose in life to stay healthy. Apparently not. We learned our lesson well. So – this winter, I will be ready. 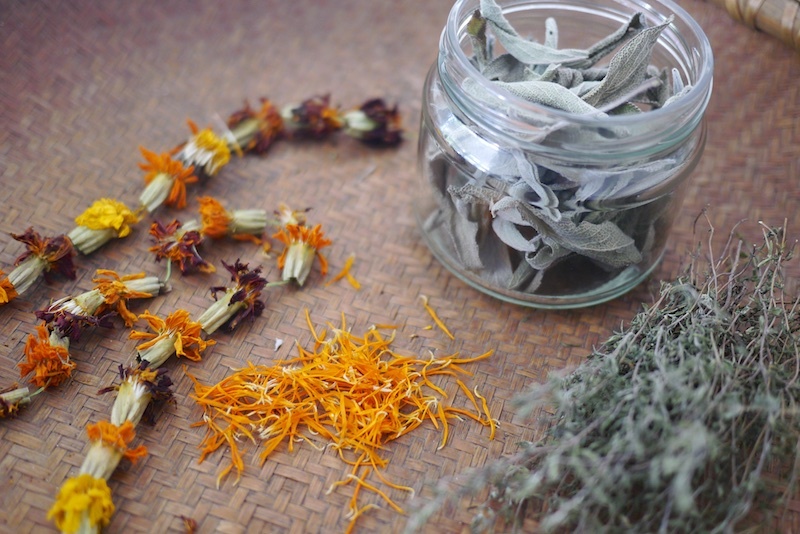 I will have dried medicinal herbs, master tonic and dried tumeric alongside lashings of crushed garlic (possibly on everything, including the porridge) and whatever else it takes to have a happy and relatively snot-free winter. Step one – save the things that grow in Summer, but that you need (like, not just for a pasta sauce need) in Winter. 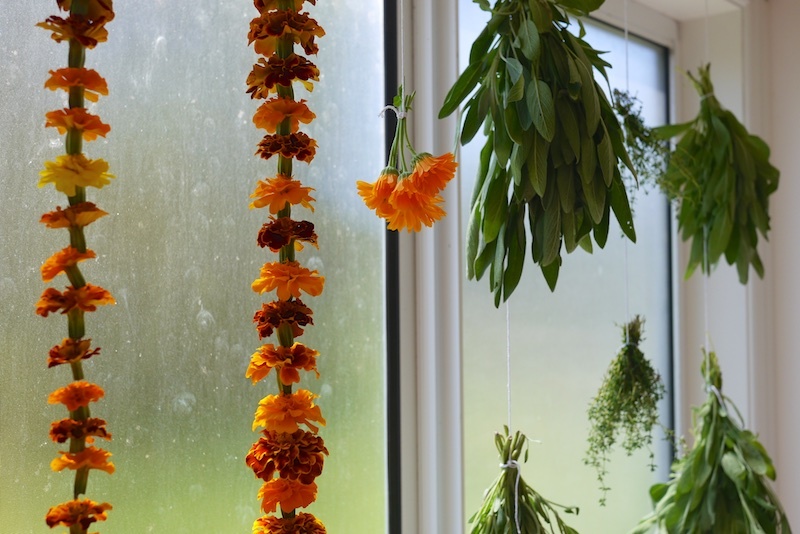 Drying herbs has not been my thing, up until now – I prefer to cook and eat as seasonally as possible (with the exception of things like passata) so I’ve never gone to much trouble trying to dry the excess summer basil or parsley. But medicinal herbs are another matter, in my mind. 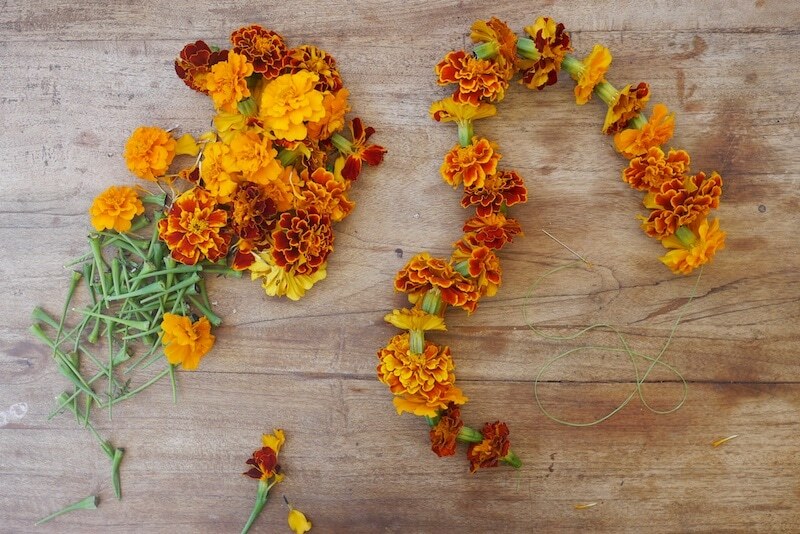 Contenders at our place include Sage, Thyme, and marigolds. Let’s go. 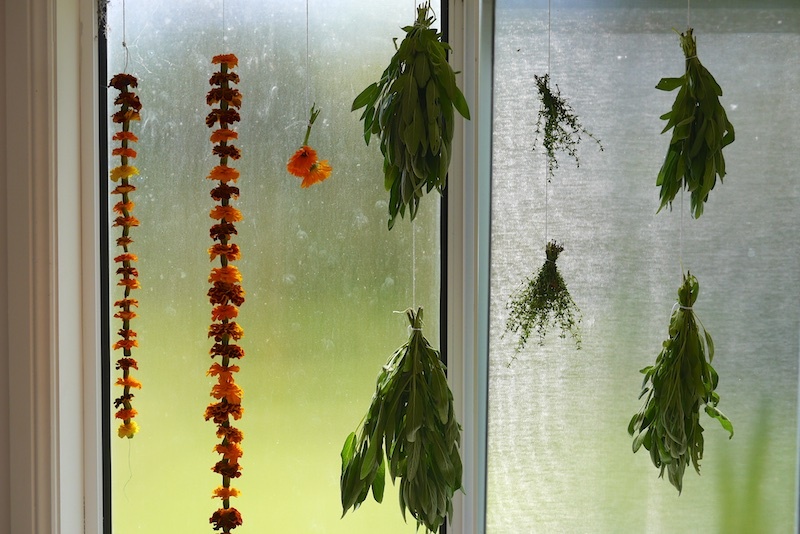 You can dry your herbs upside down in small bunches, hung in a shady, warm place where they get airflow. This method will take about a week. Alternately, you can plunk them in a dehydrator, and they will take 12 hours. Once they’re dry, jar them up and label, then store them somewhere away from the light. Or you can pack your medicinal dried herbs into a jar and pour good quality honey over the lot. Which limits their scope of use a bit, but is still a very good thing to do. 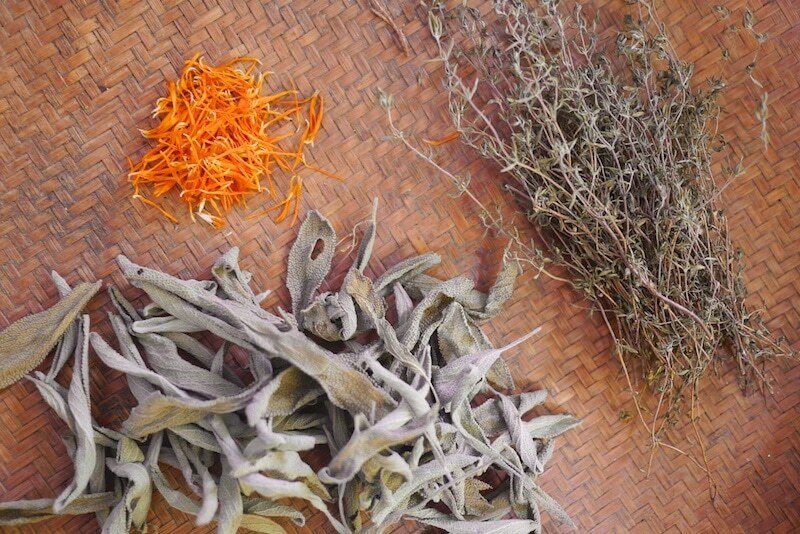 The three herbs below are all round allstars for winter health – whack them in a tea, steep, and serve. I will also be sprinkling them on meals here and there. And possibly into the morning porridge, in small amounts. Great stuff. 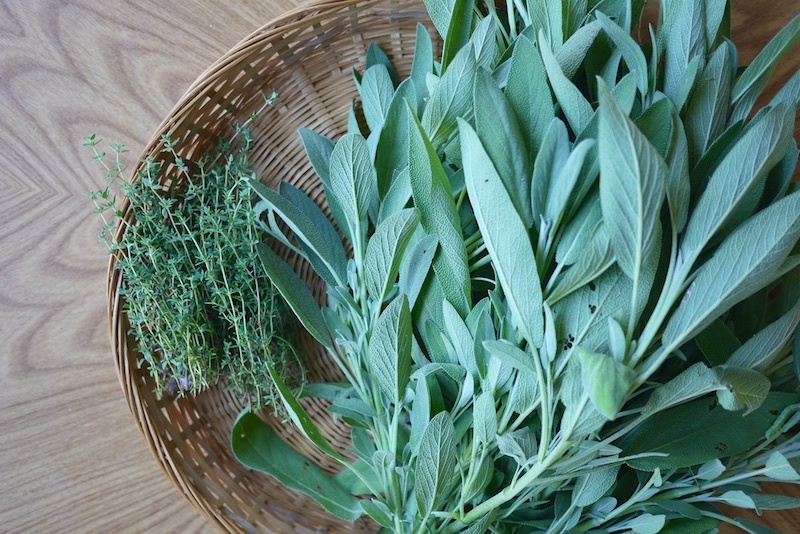 And, of course, there’s a billion more herbs nearby that could be dried and stored for winter goodness. 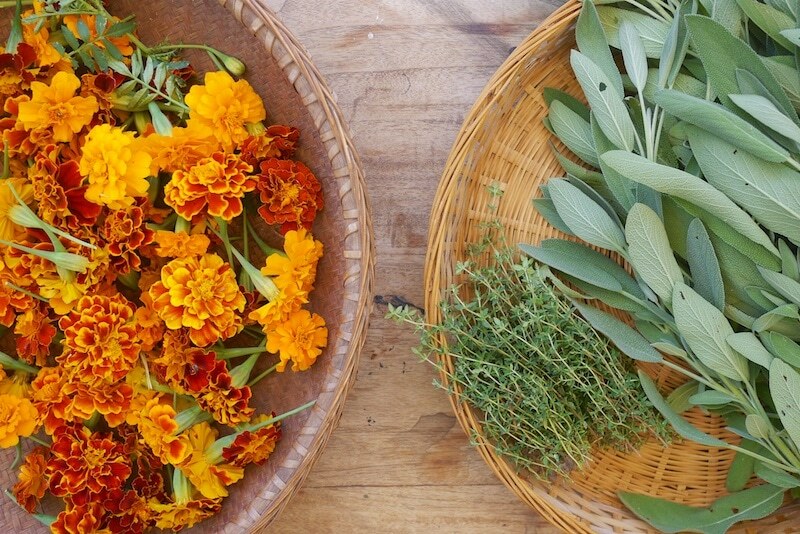 What herbs are you growing this Summer? 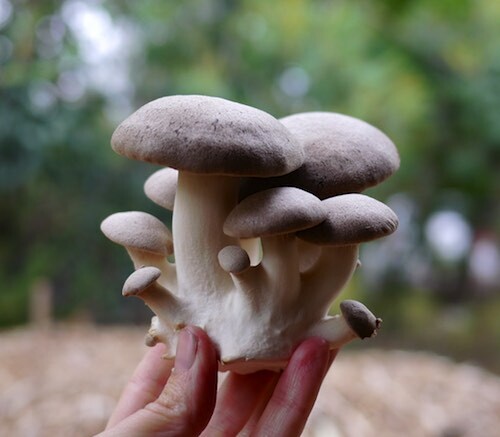 Have you thought about storing some for Winter? Which ones? Our household runs on a few key foods + drinks that we make fro . . If you're looking to grow some good quality storage crops for win . .
What a difference a year makes. This time last September we were . . Herbs are so beneficial to us,some good information but please don’t dry them in the microwave – you are zapping the goodness out of them. And right on cue: am in my kitchen today drying mint and orange peel for my next batch of labne. Thanks so much. 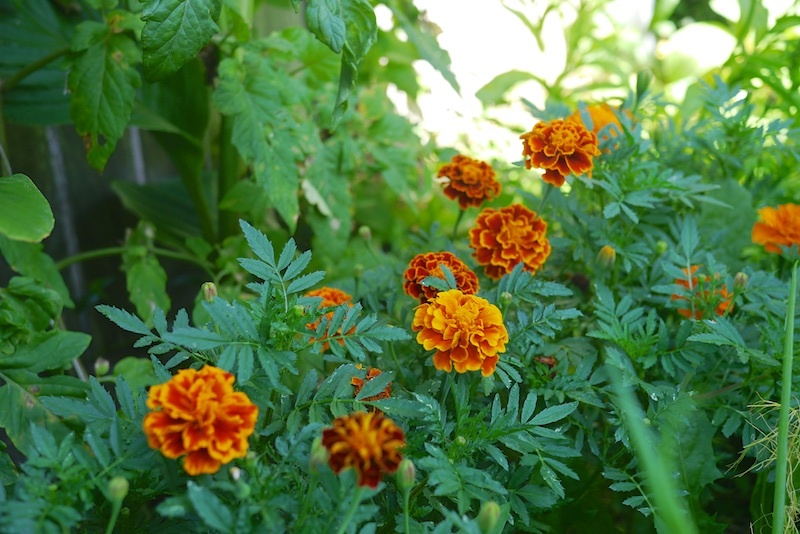 I’m new to marigold uses. And so happy to learn this. Keep doing awesome work!